Don't worry. Be happy. Keep learning. : High five for cheap crafts. High five for cheap crafts. I love crafts (as you may know by now). 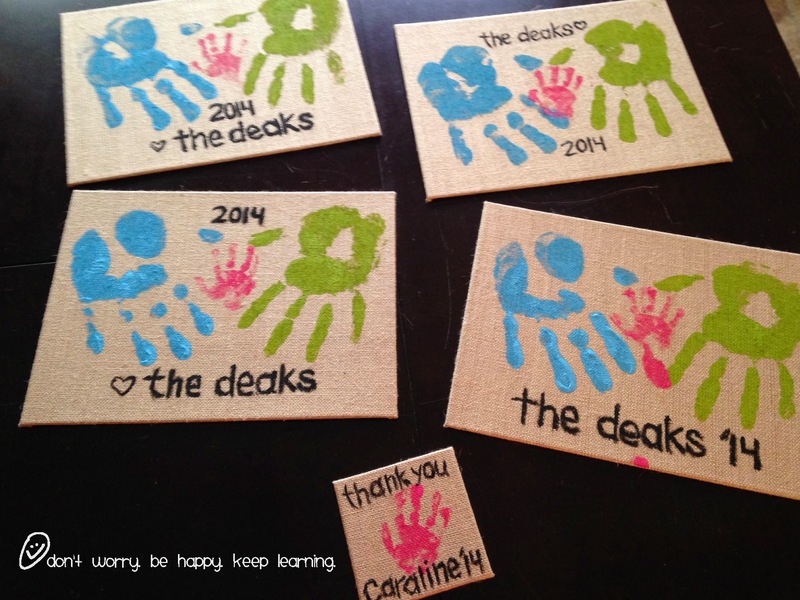 I especially love crafts that don't cost a ton of money! 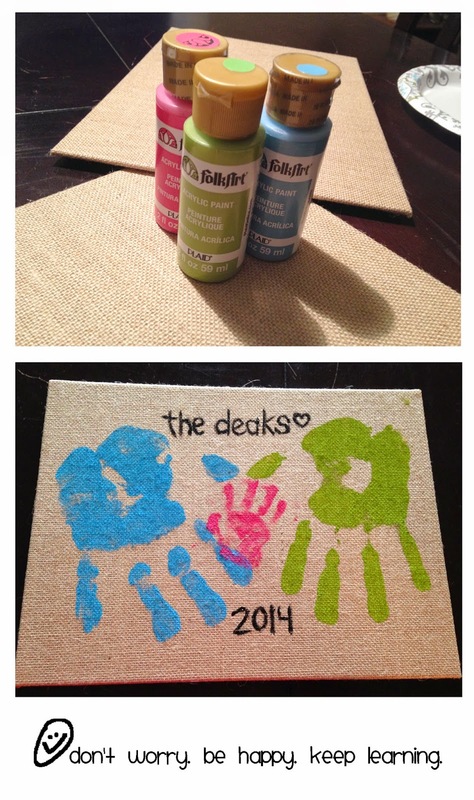 For Mother's Day this year, Mike, Caraline and I gave our moms and grandmas homemade handprint canvases to document our new family of three. This was a fairly easy project. The hardest part was getting our 3 month old to open her hand all the way to make a handprint successfully. As you'll see, not all were perfect. But I think that's what makes them more special. The canvases came 3 in a pack for about $8 and the paints were $1.50 each. I got it all at Michael's. So for about $12.50 and some time we made some unique Mother's Day gifts. 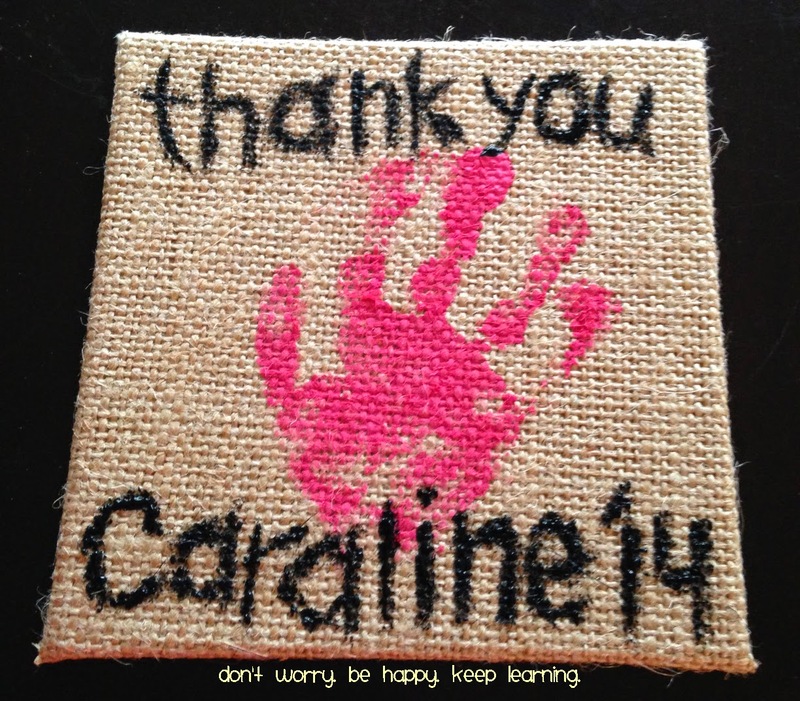 We made an additional handprint for Caraline's babysitter for being such an awesome "second mommy" for her during the day. In August of 2012, I became a mother. But on February 4, 2014, I became a mommy. I'm really treasuring every minute I have with Caraline. I don't take it lightly the honor it is to be a mother. I value the impression I will make on this little lady and know how important my role as a guide is in her life. I especially love watching Mike interact with her. We are both so in love and feel so honored to be parents. 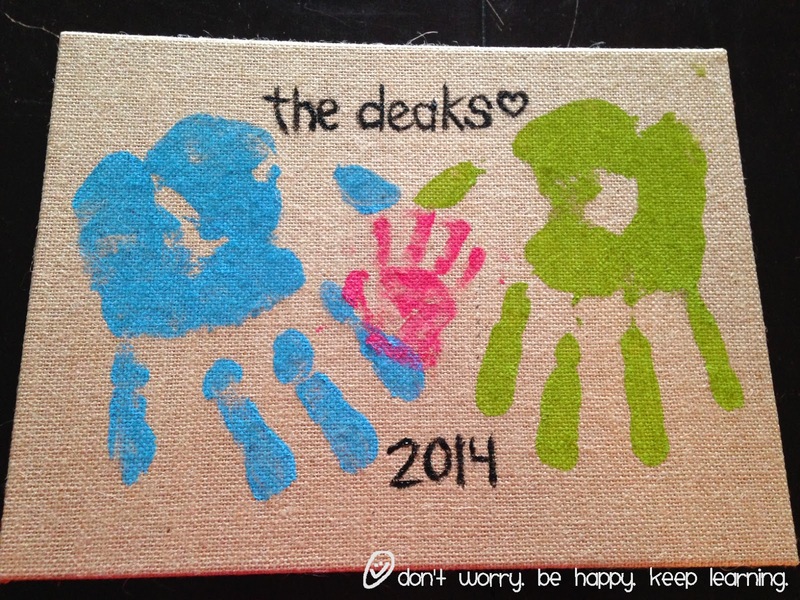 at 5:00 AM Topics: Baby Deak., Blog., Crafts.